The PGA Championship, colloquially known as Glory’s Last Chance because it is the fourth and final major championship of the golf season, will be a US Open-style test because it is taking place at the incredible Oak Hill Country Club. The Oak Hill Country Club’s East Course is one of the most challenging tests in golf and here is a statistic to back up that claim: a total of only 10 players have finished under par in the last five major tournaments on the track. The East Course is not very long but this Donald Ross design punishes wayward tee shots and inaccurate approaches. Golfers for whom PGA Championship punters should be looking are those that put the ball in the fairway consistently and hit greens in regulations frequently. Others factors worth considering are recent results – last week’s World Golf Championships-Bridgestone Invitational is likely to be a good guide because it has been a decent PGA Championship pointer since moving to just before the major on the schedule – and performances in prestigious events. Tiger Woods is the general 5.00 PGA Championship favourite with BetVictor. While Woods ranks reasonably well in both driving accuracy and greens in regulation, plus he romped away with the World Golf Championships-Bridgestone Invitational title, he does not appeal at his recently crunched odds. Woods did not light up the Oak Hill Country Club’s East Course in the 2003 PGA Championship – he finished tied for 28th place behind shock winner Shaun Micheel – and one gets the impression that he is experiencing mental difficulties with regards to winning his 15th major title. Woods has not won a big one since the 2008 US Open and his statistics in his last seven major tournaments – 14 under par over the first two days and 23 over par over the last two days – supports the view that he is getting the shakes at the business end of top events. On the key statistics, no-one comes close to matching the numbers of Henrik Stenson and that is why the Swedish star is the headline PGA Championship pick at odds of around 29.00. Stenson ranks sixth in driving accuracy – he has hit 70.13 per cent of fairways on the PGA Tour this year – and his 71.09% greens in regulation score ranks him second. No golfer is hotter than Stenson right now – yes, one has not forgotten about Phil Mickelson – with the Swede having been in the top three in each of his last three competitions. Stenson does not get the acclamation that his talent merits, probably because he is yet to win a major title. That could change on the Oak Hill Country Club’s East Course so he is one for any serious PGA Championship punter’s short list. In 72-hole PGA Championship match betting, Spreadex has paired Stenson with Woods, offering odds of around 3.50 about the underdog. The Swede looks overpriced because he is underrated and Woods does not go unsupported by punters. Stenson is one of only two PGA Championship participants ranked in the top 30 this year in both driving accuracy and greens in regulation. The other is available at massive odds of around 226.00 to win what would be his first major. 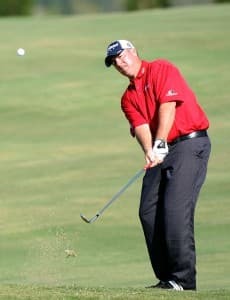 His name is Boo Weekley and he is well worth a second look at Stan James. Weekley, who is ranked 23rd in driving accuracy and fifth in greens in regulation, has a PGA Tour victory under his belt this year thanks to his win in the Crowne Plaza Invitational at Colonial. Weekley, a big contributor of the United States of America’s triumphant 2008 Ryder Cup team, is deserving of shorter odds than 226.00 and, in the major that has thrown up the most shocks, he is an each-way play. Also, Weekley is trading at odds of around 8.00 to make the top 20 and 21.00 to make the top 10. Again, those prices look very generous, again with Stan James. Novelty punters look the odds that bookmakers quote about aces in golf tournaments. There could be some value in the odds of around 1.73 about the PGA Championship featuring at least one ace given that the last three events staged on the Oak Hill Country Club’s East Course have produced a total of seven hole in ones. There is even a plaque on the sixth tee of the New York layout to commemorate the 1989 day on which four golfers – Jerry Pate, Nick Price, Doug Weaver and Mark Wiebe – scored aces, each with seven irons. For once, there may be some post-Hole In One Gang value in this exotic.